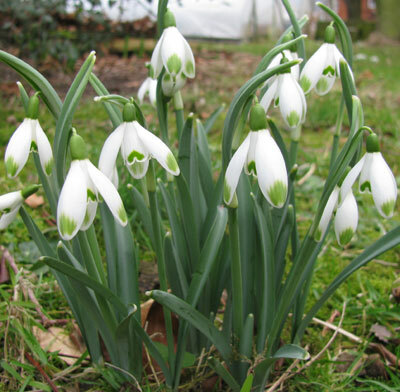 Compared to spring sales we offer in autumn a reduced range, but still a good selection of dormant bulbs. 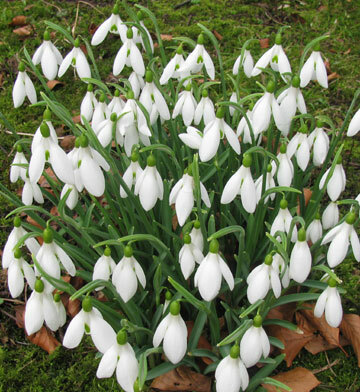 Mainly spring flowering, for sun or partial shade which generally they do better in a well drained, yet cool soil. Plant the bulbs 7cm deep. Very strong form for open woodland and good for naturalising, January/February, flowers large globular. One of the best for the garden. 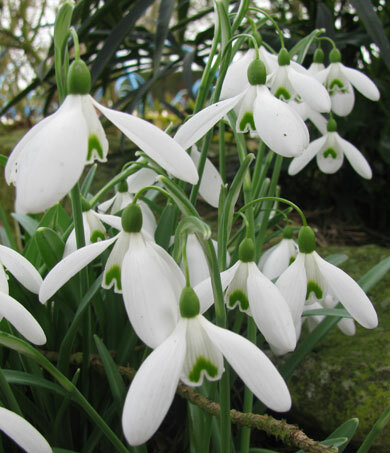 Superb, perfectly formed Greatorex hybrid snowdrop, robust and reliable, usually early flowering late January to March. 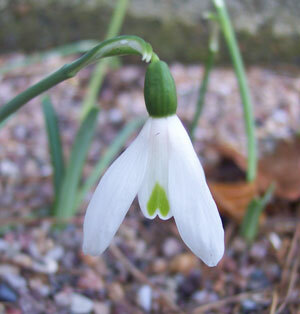 The famous Snowdrop with yellow markings. Very limited. 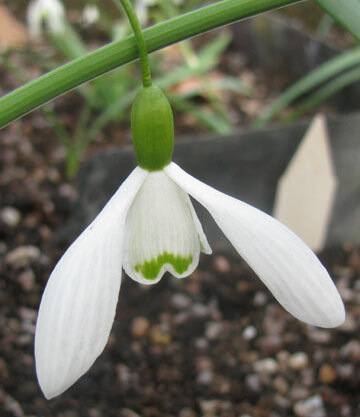 A tall distinct snowdrop with large single flowers held at an angle on a pronounced pedicel. A strong plant with a very distinct long slender pedicel resulting in the appearance of 'hanging' flowers. 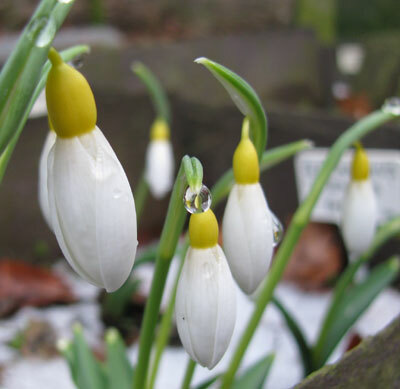 A beautiful yellow snowdrop that has a yellow ovary and yellow inner markings, 15-20cm tall. Very limited availability. Fine species, broad dark green marking at the base of the inner segment, broad glaucous and erect leaves, stems 12 to 20cm. Supplied as dormant bulbs in September. 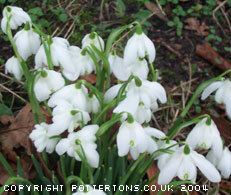 The common double flowering snowdrop. These bulbs supplied as dormant bulbs in Autumn. A robust form with distinctive strong green marks on the tip of the outer segments. Autumn flowering species, dwarf stems to only 15cm, the inner segments are marked with an inverted ?V?, no leaves present when flowering. Needs a warm spot in the garden with well drained soil. 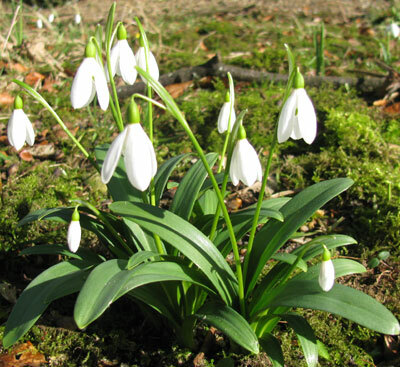 A robust, easy early flowering species, January to February with a strong green mark on the inner segment, large solid white flowers. Supplied as dormant bulbs in September.